At the time of strong debates on massive consumerism, our efforts to act in the interests of our environment should be a priority. Us, at MCC, we’ve understood that we better be on the planet’s camp. Indeed… Green purchasing is possible with our products! Today we focus on our packaging to present you how our boxes (and not only) are taking care of our nice shoes with interchangeable heels; but, also of the environment. You will probably be surprised discovering all our little tricks to contribute to the common effort on sustainability. Indeed, we try as possible as we can to choose recycled and recyclable materials to pamper our products. For example, our shoe boxes are made out of recycled cardboard and we chose natural cotton pouches to put our heels in. 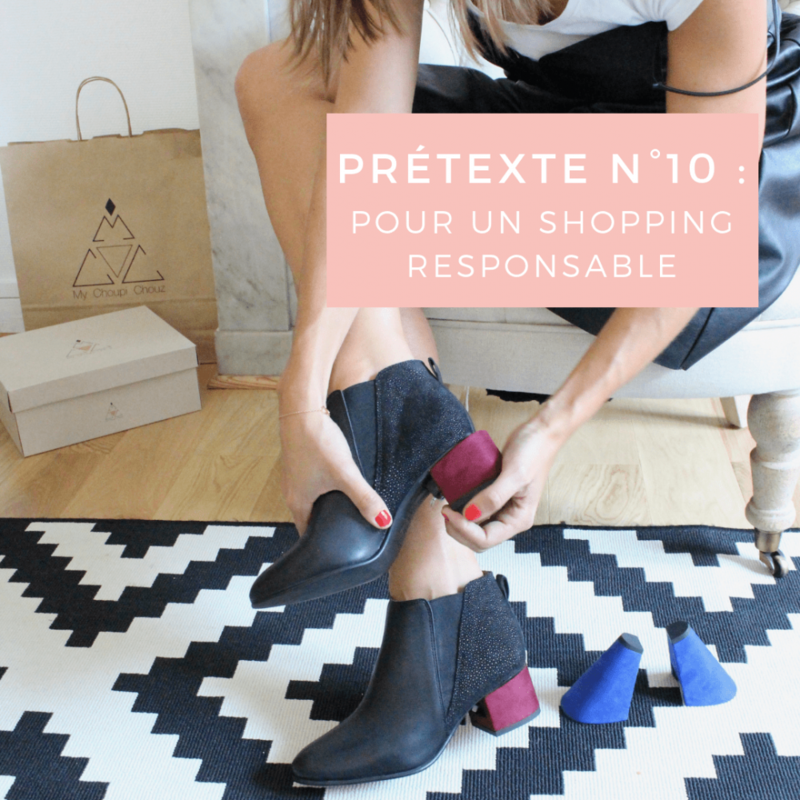 If you have the chance to meet us at our showroom in Paris to collect your order or by directly buying your shoes during our events (like pop-up stores or Christmas markets), you will receive a nice Kraft paper bag, 100% recycled and recyclable! Always thinking of our planet, we decided to send your orders in plastic envelops that generate less rubbish than if we use cardboard. They are also recyclable and safe for the environment when incinerated. We hope you’ve understood that we were willing to show the values of our little brand that become bigger and bigger thanks to you dear Choup’s, thank you! Christmas season is coming… and we wanted to encourage you to choose, like us, recycled and recyclable materials to wrap your gifts. Reusable paper or a lovely fabric will be perfect to cover up your nice pack of MCC shoes. Even better with a little rope bow which will match with our natural boxes’ color. We share with you a very useful link that will probably inspire you to spend a green Christmas… (tree)! Click here!